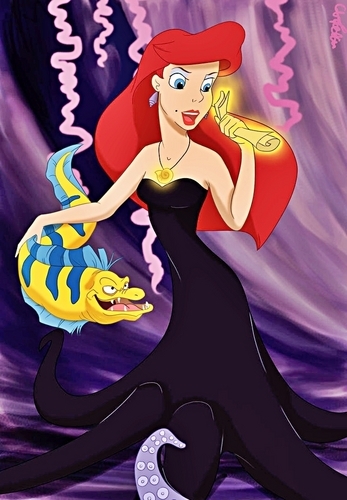 The Little Mermaid Fan Art - Evil Ariel & Flounder. Twisted Ariel & Flounder. HD Wallpaper and background images in the The Little Mermaid club tagged: disney the little mermaid ariel evil ariel flounder ursula princess. This The Little Mermaid fan art might contain anime, comic book, manga, and cartoon.